/ Home / Courses / Postgraduate / MSc Advanced Professional Practice in Physiotherapy / What skills will I gain? 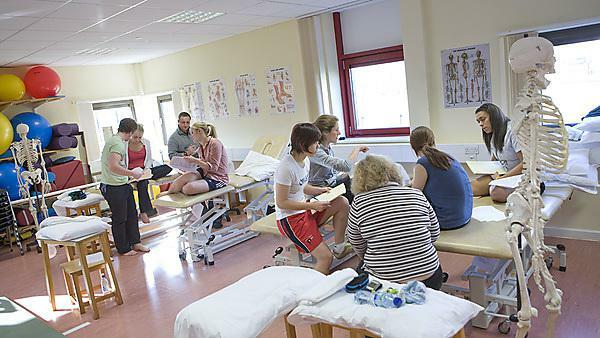 Our MSc Advanced Professional Practice in Physiotherapy programme offers you the opportunity to enhance your current skills and knowledge. develop your understanding, thinking, questioning and reasoning skills in order to enhance your efficiency, effectiveness and creativity in professional practice. develop your theoretical knowledge underpinning physiotherapy practice. critically review trends in theory, practice and management relating to physiotherapy practice. develop critical awareness of the contemporary issues influencing the organisation and delivery of services and to appraise and apply changes in health and social care practice. promote an understanding of philosophy and procedures involved in research and use of evidence.